in other words, that all the world is so familiar with every existing introduction to the masterpiece concerned as to make any additional ‘preliminary matter’ a mere impertinence. This is a palpable error; and it may be doubted whether even critical omniscience would claim so much. be offered for the following record of her life and work. The larger portion of her life was spent in an out-of-the-way Hampshire parsonage, and the whole was so little chequered by incident of any kind that it was not until 1870, or more than fifty years after her death, that her descendants found courage to compile a Memoir. This Memoir, by her nephew, the Rev. J. E. Austen-Leigh, can scarcely be characterised as copious; and little was added to its facts by the carefully-edited collection of letters with which another relative, Lord Brabourne, followed it up fourteen years afterwards. From these sources we learn that she was the youngest child, and younger daughter, of the Rev. George Austen, Rector of Deane and Steventon, — a pluralist, as will be seen, but a pluralist with extenuating circumstances, since his parishes were little more than a mile apart, and their combined inhabitants less than three hundred souls. At Deane, where he at first resided, five sons were born to George Austen. Then, in 1771, he moved to Steventon, and here were born his two daughters, Cassandra and Jane, the latter on the 16th December 1775. Of her parents not much is related on which it is possible to base any definite theory as to hereditary traits. Her father was a handsome man, and a good scholar, who had been fellow of his college. Her mother, whose maiden name was Cassandra Leigh, is credited with an equable temper and a chastened gift of epigram. Mrs. Austen was, moreover, the niece of a once famous University wit and sometime Master of Balliol, Dr. Theophilus Leigh. Out of this last fact the biographers of her daughter Jane have made all available capital. which was approached from the parsonage by one of those double Hampshire hedgerows with a path between them mentioned in Persuasion, and known in this particular instance as ‘the Church Walk.’ The Church Walk also led to the manor-house of Steventon, a gray old building screened by sycamores, the grounds of which were practically free to the rector’s family. Beyond the church and the manor house, there appears to have been nothing in Steventon to distinguish it from any other Hampshire village, but such as it was, Jane Austen found, in its peaceful rural scenes, a fitting nursing-ground for that delicate genius which, in the noise and bustle of town life, might easily have been dazed into hopeless silence. The scanty details— and they are but scanty— which have been preserved of Miss Austen’s earlier years are wholly in keeping with the quiet household in which those years were spent. Her brothers, until they passed into the world (two of them rose to be Admirals), were educated by their father at home; and at home— in the intervals of visiting the neighbouring gentry in a primitive family coach, or of tramping the wet lanes in pattens— Cassandra and Jane also seem to have acquired what was then the sufficient equipment of a country parson’s daughter. In Jane’s case this consisted of a great deal of needlework, in which she was an adept, something of the piano, or ‘haspicholls’ (as Tony Lumpkin calls it), a great deal of French, a smattering of Italian, and an unusual amount of irreproachable English. Sometimes, at the instigation of a lively cousin, the widow of a French nobleman, there would be private theatricals in the barn, of which Mansfield Park retains the traces. But it will be readily understood that reading played no small part in Jane’s daily round. Of old periodicals and novels she is said to have been especially fond, and probably in the course of her visits to her cousins, the Coopers, at Bath, she had perused not a few of those stock specimens of the circulating library which the elder Colman schedules to the preface of Polly Honeycombe. Of Richardson and Miss Burney, the former especially, she was an enthusiastic admirer, and notwithstanding that the fact is ignored by her biographers, we suspect— upon the evidence of the admirable second chapter in Sense and Sensibility, where Mr. John Dashwood gradually persuades himself to give nothing whatever to his mother-in-law and sisters— that she was not unacquainted with the works of Fielding. Johnson’s prose she admired, and although she never, like Madame D’Arblay, fell into conscious mimicry of his style, was plainly not without recollections of that style in her earlier works. The anecdote, however, naturally suggests inquiry whether any incidents, not involving the consideration of male humanity as merely abstract ideas, had ever diversified the even tenor of Miss Austen’s life. In this respect it must be admitted that the evidence is of the most unsatisfying description. She was attractive, clever, and fond of pleasure, with all the healthy zest derived from a bright disposition and a sound physique, but the record of her affaires du cSuris of the vaguest. There are indeed indications of what must have been a smart flirtation with a certain good-looking and lively young Irishman named Tom Lefroy, who, as he was afterwards thrice married, should have been a marrying man; and we have the authority of Cassandra Austen for the statement that, at a Devonshire watering-place, very marked attentions were paid to her sister by a most eligible and gifted admirer who had the misfortune to die suddenly, and, like Gray, ‘never spoke out’ Of yet another pretendant we hear, who, possessing every ‘accomplishment’— in the phrase of the eighteenth century— ‘necessary to render the marriage state truly happy,’ was unsuccessful in engaging the affections of the lady. With all deference, therefore, to those who, like Byron’s Julia, look upon love as ‘woman’s whole existence,’ it must be concluded that Miss Austen’s suitors left her, as they found her, fancy free. It is certainly not necessary to suppose, as some do, that because she has drawn the operations of the ‘tender passion’ with exquisite skill, she must of necessity have experienced that ailment herself. Those who have sought to detect autobiography in scattered passages of Mansfield Park and Persuasion, seem to have over looked the fact that, while they attribute to the author the most unerring insight into the ordinary affairs of human life, they are practically denying her the exercise of that faculty in what is supposed to be, above all, the feminine province. Moreover, they must have forgotten that she was in constant and most confidential relations with an elder sister, who is admitted not only to have had a bonafide engagement, but also an engagement which was terminated disastrously by the premature death of her lover. On the whole, we may assume that Miss Austen had no definite romance of her own. As years went on, she accepted with equanimity the role of maiden aunt to her brothers’ children; and if it is accurate to say of any period of her life— in the words of theFrench song— L’Amour apasse parla, the marks of his footprints have now been irretrievably effaced. But the evidence in respect of her love of letters presents no such difficulties. ‘It is impossible, Mr. Austen-Leigh tells us,’ to say at how early an age she began to write. There are copy-books extant containing tales some of which must have been composed while she was a young girl. … Her earliest stories are of as light and flimsy texture, and are generally intended to be nonsensical, but the nonsense has much spirit in it’ They a real so, it is added, characterised by their ‘pure simple English,’ and yet, from their writer’s advice to a niece, it must be inferred that most of them were written long before she had reached sixteen. After these preliminary essays came a period in which her compositions took the form of tales, ‘generally burlesques, ridiculing the improbable events and exaggerated sentiments which she had met with in sundry silly romances,’— a description which reads like a characterisation of The Female Quixote of Mrs. Charlotte Lenox. Of this phase of her development some lingering traces are to be detected in Northanger Abbey, with its recollections of Mrs. Radcliffe. Then, towards 1792, she began, in the epistolary form of her favourite Richardson, a novel called Elinor and Marianne, which was followed by a shorter story, since included in her works under the title of Lady Susan. The former of these, recast and entirely revised, became Sense and Sensibility. 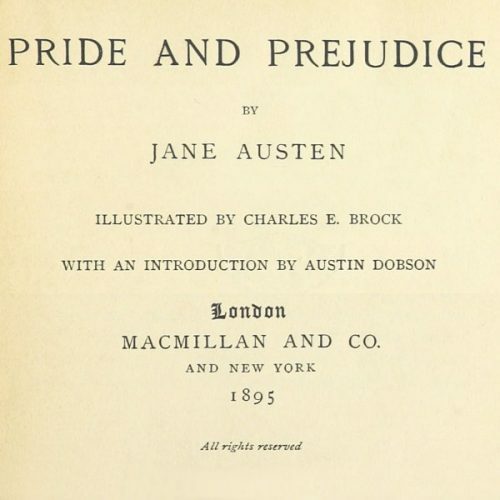 But before she had thus transformed her earliest story she had completed the novel which, by universal consent, is regarded as her masterpiece— Pride andPrejudice. At this she began to work in October 1796, and finished it in August of the following year. The title originally chosen for it was First Impressions. Almost immediately afterwards, Sense and Sensibility began to assume its present form; and following this came, in 1798, Northanger Abbey. 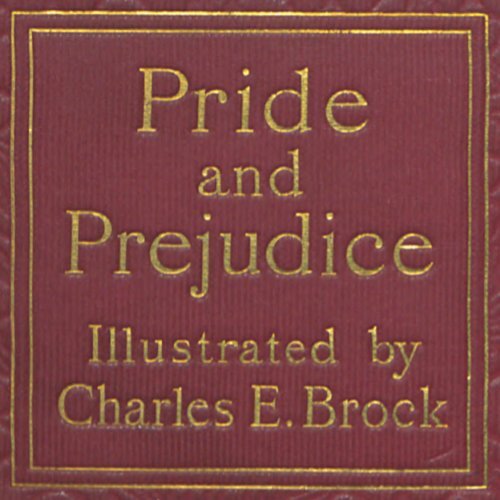 As the second and third of these books will be more minutely examined in the special prefaces allotted to them, it is unnecessary to do more at present than note the curious fact that neither theynorPride and Prejudice were actually published until many years after this time. When the manuscript of Pride and Prejudice was finished, Mr. Austen pere, struck by the merit of the story, offered it by letter to Cadell, without, however, actually submitting the MS. for his inspection. Cadell declined even to look at it. No second effort was made by Mr. Austen to obtain for the book the honours of type, and it remained unprinted until 1813. An even more humiliating fate befell Northanger Abbey. In 1803 the MS. was offered to a Bath publisher (Peach, Historic Houses of Bath, thinks it must have been Bull of the Circulating Library), who bought it for £10. Having done so, he seems— like the first proprietors of the Vicar of Wakefield— to have repented of his rashness, for he locked his purchase in a drawer, and either dismissed the subject from his mind or forgot all about it until, many years afterwards, the MS. was diplomatically bought back by one of Miss Austen’s brothers. To speak of Northanger Abbey, however, is to anticipate what belongs more properly to the introduction to that work. But it may be noted here that all the three novels above mentioned were written at Steventon. In May 1801, or about three years after the last of them was completed, Miss Austen’s father rather suddenly resigned his Hampshire living to his eldest son James, and moved to Bath, where the family lived at 4 Sydney Place, at Green Park Buildings, and (after Mr. Austen’s death, which took place in February 1805) in lodgings at 25 Gay Street. Bath, it might have been supposed, should have afforded a more congenial field of observation to Miss Austen’s analytic gift than the seclusion of Steventon, and those faded glories of the Basingstoke Balls to which she refers in one of her letters. But from one reason or another, perhaps because, for the moment, she lacked that stimulus of success without which the pursuit of literature resembles the drawing of nectar in a sieve, or because the care of a septuagenarian father and an invalid mother absorbed her more exclusively than before, Miss Austen’s stay of four and a half years in Beau Nash’s old city was not signalised by any fresh essays in fiction, save and except the fragment reprinted in 1871 by Mr. Austen-Leigh, with the afore-mentioned Lady Susan, under the title of The Watsons. It would be idle to dwell either upon the earlier work or the later fragment, which fragment, indeed, is little more than the first rough draft of an abandoned story, — abandoned, no doubt, under the temporary depression caused by the postponed publication of Northanger Abbey. But whether she enjoyed Bath, as one of her biographers concludes, or was bored by it, as another conjectures, — and, in the absence of trustworthy evidence, one supposition is as good as another, — it may safely be affirmed that, to the creative last years at Steventon, there had succeeded one of those fallow periods which fate does not often vouchsafe to the producers of masterpieces, and during which she was, intentionally or unintentionally, accumulating fresh reserves of recollection and experience. While she was atBath she visited Lyme, — a visit which subsequently bore its fruit in an episode of Persuasion. This was in 1804. At the close of 1805 she removed with her mother and sister to Southampton, where they occupied ‘a commodious old-fashioned house in a corner of Castle Square’— then almost absorbed by the fantastic castellated mansion of the second Marquis of Lansdowne. The Southampton house was an agreeable one, but the locality proved even less stimulating than Bath to Miss Austen’s pen, for there is no record that anything was written while she made it her home. Then, in 1809, her second brother, Edward— who had been adopted by a rich relative, and had taken the name of Knight— offered his mother and sisters the choice of two houses on his property; one being near Godmersham Park in Kent, the other near Chawton House in Hampshire. They chose the latter, and settled themselves, with a lady friend, at Chawton Cottage, a little house standing in Chawton village, ‘about a mile from Alton, on the right-hand side, just where the road to Winchester branches off from that to Gosport’ Here Miss Austen was enpays de connaissance; in her old county, and among her own people. Circumstances brought many of her relatives into her neighbourhood; and here, practically, the remainder of her life was spent. Here, too, her dormant literary gift revived. At Chawton she wrote three more novels; and at Chawton she at last found a publisher for two of those which she had already completed. Of these completed novels Sense and Sensibility was the first to appear in book form. Its adventurous putter-forth was Mr. T. Egerton of the ‘Military Library,’ Whitehall, who paid the author a sum which to her modest ambitions seemed ‘a prodigious recompense for that which had cost her nothing.’ She spent the first year of her residence at her new home in revising the work for the press, and it came out in 1811. No personal record of its reception, or of the author’s feelings upon that reception, seems to have survived. But the result must have encouraged both her publisher and herself, for in less than two years Egerton published First Impressions as Pride and Prejudice, an alliterative title modelled, we may suppose, on that of its predecessor. To Pride and Prejudice there are allusions in her correspondence. ‘Upon the whole,’ she tells her sister, ‘she is quite vain enough and well satisfied enough,’ though she considers ‘the work is rather too light, and bright, and sparkling; it wants shade; it wants to be stretched out here and there with a long chapter of sense, if it could be had; if not, of solemn specious nonsense, about something unconnected with the story; an essay on writing, a critique on Walter Scott, or the history ofBuonaparte,’ — in all of which, by the absence of these things, she shows how unerringly she had gauged her metier. Meanwhile she had entered upon some new work. ‘Between February 1811 and August 1816, she began and completed Mansfield Park, Emma, and Persuasion.’ Of these only Mansfield Park and Emma appeared during her lifetime, — Egerton of the ‘Military Library’ being still the publisher of the former, John Murray of the latter. Thereupon the irrepressible Mr. Clarke— mindful of the approaching marriage of the Princess Charlotte and Prince Leopold, to the latter of whom he had been recently appointed Chaplain and private English Secretary— made the supplementary proposal that she should try her hand at ‘an historical romance illustrative of the august House of Cobourg.’ Miss Austen’s second reply may be inferred from her former one. 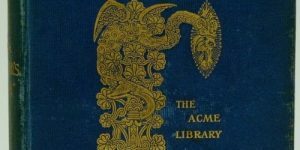 ‘I could not,’ she answered, ‘sit seriously down to write a serious romance under any other motive than to save my life; and if it were indispensable for me to keep it up and never relax into laughing at myself or at other people, I am sure I should be hung before I had finished the first chapter. No, I must keep to my own style, and go on in my own way; and though I may never succeed again in that, I am convinced that I should totally fail in any other.’ The counsels of Prince Leopold’s chaplain are typical of the impracticable suggestions often received by authors from well-meaning persons, and Jane Austen’s unhesitating neglect of them is only another justification of Swift’s aphorism: ‘It is an uncontrolled truth that no man ever made an ill figure who understood his own talents, nor a good one whom is took them.’ There was not much writing of merit on the spindle-side in the Dean’s day, but his utterance is as applicable to women as to men. In 1815, when Miss Austen’s acquaintance with Mr. Clarke began, she was nursing a sick brother at 23 Hans Place, Sloane Street (the ‘H. P.’ of Miss Mitford and the hapless L. E. L.). In April 1816, when her last-quoted words were written, she had returned once more to Chawton. The advice given her led to nothing more than a playful squib, which Mr. Austen-Leigh prints from her papers, entitled ‘Plan of a novel according to hints from various quarters.’ At this date her health had begun to fail. She still, however, persevered gallantly with her last novel Persuasion, which was eventually completed in August. In the year following she removed to Winchester for medical advice, taking lodgings with her sister in College Street. Here, although tenderly nursed, she sank gradually and peacefully. Being asked towards the end whether she wanted anything, she replied, ‘Nothing but death.’ This came on the morning of the 18th July 1817. On the 24th, she was buried in Winchester Cathedral, opposite the tomb of William of Wykeham, a large slab of black marble marking the place. Her mother survived her ten years, dying in 1827; her faithful confidante, nurse, and sister Cassandra lived to 1845. She wrote a charming hand, — and oh! As to her literary habits, the particulars preserved are not at first sight exactly what one would have expected. It might be supposed, for instance, that her careful lapidary style would have demanded, for its successful production, the utmost retirement and quiet, and it is true that her sojourn in large towns was curiously coincident with an unexplained suspension of literary activity. In other respects she does not seem to have required any particular conditions of environment. On the contrary, we are assured that while at Chawton she had no separate study, but wrote in the common sitting-room, where people came and went, only instinctively covering her manuscript from sight with a piece of blotting-paper when the visitor was unexpected, or the interruption prolonged. The little mahogany writing-desk at which her novels were composed was in 1871, and we presume still is, piously preserved by her descendants. With her, literature constituted, in truth, its ‘own exceeding great reward.’ Outside her own circle of intimates, few knew of her occupation or achievement; it was but tardily that her books found publishers; and when they were published, it was with equal tardiness that they made their way with a public accustomed to less refined and more demonstrative utterances. ‘To the multitude her works appeared tame and commonplace, poor in colouring, and sadly deficient in incident and interest’; and only faintly here and there a few isolated admirers had the audacity to compare her under their breaths with Miss Burney and Miss Edgeworth. Not until 1821, or three years after her death, came the first real note of authoritative recognition, in the shape of a review contributed to the Quarterly by Dr. Whately, afterwards Archbishop of Dublin. Since this date a long list of readers of the highest distinction have said ditto to Dr. Whately. From these we may select two. Scott’s famous and frank admiration of her ‘talent for describing the involvements and feelings and characters of ordinary life’ as a thing beyond his own powers, is well known. But his recently published ‘Journal’ contains a less familiar passage. Speaking of an evening spent over one of her novels, he writes, ‘There is a truth of painting in her writings which always delights me,’ and he goes on to say that in her own way she is ‘inimitable.’ This was written in 1827. Of Macaulay, his biographer tells us that he never for a moment wavered in his allegiance to Miss Austen. ‘If I could get materials, I really would write a short life of that wonderful woman, and raise a little money to put up a monument to her in Winchester Cathedral.’ So runs a sentence in his ‘Journal’ for 1858. From the reader of to-day it is perhaps more difficult to obtain, at all events at first, a ratification of the praise which the great historian and the great romancer— both speaking, it may be observed, not with their considering caps on, but out of the fulness of their hearts in the privacy of their own personal records— gave to Miss Austen’s inventions. Miss Austen’s enthusiasm, it is reported, was only faintly stirred by the delicate raillery of the Spectator. 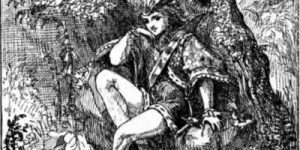 But the last quotation shows that she had somehow contrived to acquire that ‘artifice of mischief which Esther Johnson approved in Addison, and which consists in humouring a fool to the top of his folly. 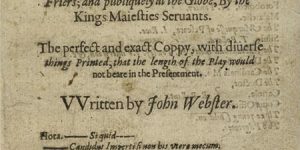 Criticism has found little to condemn in the details of this capital novel. Nobody, nowadays— assuredly nobody who has the requisite respect for its delightful heroine— is likely to re-echo the unchivalrous insinuation of one of its early reviewers that Elizabeth’s change of sentiment towards Darcy is caused by the sight of his house and grounds. A graver objection, and an objection perhaps less easy to dismiss, is that Darcy’s manner is at first almost too insufferable, and, moreover, that it is difficult to reconcile his bearing at his appearance on the scene with the accounts which are afterwards given of his amiable manners in boyhood and youth. But to this it maybe answered that he is not the only hero who develops unexpectedly during the progress of a story; witness, for example, the notorious cases of Mr. Pickwick and Don Quixote; and also that something decidedly abnormal was required at the outset, both to justify his ‘pride’ and the ‘prejudice’ with which Elizabeth begins by regarding him. Another thing which has been noted is that Mrs. Bennet is almost too absolutely foolish a mother for such charming daughters as the two eldest, and that Lydia’s elopement is out of keeping with the story. But it was not out of keeping with some of Miss Austen’s eighteenth-century models, nor, indeed, with the manners of her day; and, as regards the other contention, Elizabeth, at least, is more the daughter of her clever father than her silly mother, who, silly though she seems, is not unparalleled in most experiences. A more material, though still a very minor, criticism would be that the work could well have dispensed with two of the Bennet girls, and that Mary and Kitty have no very indispensable function in the plot. But of the rest of the personages none could be spared. Mr.Collins is impayable; so is Lady Catherine de Bourgh; so is Mr. Bennet; and upon their lower planes, so are Mrs. Bennet, Sir William Lucas and his daughter Charlotte. Mr. Bingley, in an unobtrusive way, is very agreeable, and Jane Bennet, in the same degree, is charming. Of the finally-revealed and reformed Mr. Darcy one can only add that he appears worthy of his good fortune. 1 Some of Dr. Leigh’s jokes are quoted by his great-niece’s biographer. Even in old age — and he lived to be ninety— he retained this faculty. A day or two before his death some one said that an old acquaintance had been egged on to matrimony. ‘Then may the yoke sit easy on him,’ said Dr. Leigh.